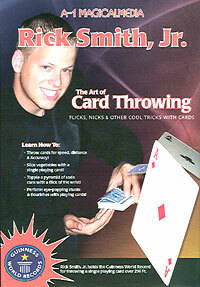 Categories: DVD, Novelty, Sleight Of Hand Tags: Art Of Card Throwing DVD Rick Smith, Jr.
Rick Smith, Jr. is the current Guinness World Record holder for throwing a playing card further than anyone — 216 feet and 4 inches. 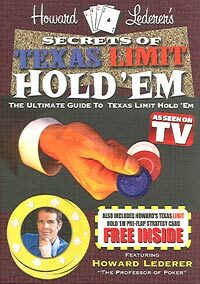 On this DVD Smith teaches several methods on how to throw cards for speed, distance and accuracy and how to slice vegetables and topple a pyramid of soda cans. 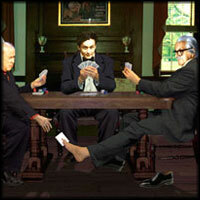 In addition to card throwing the DVD features many different card flourishes, stunts, displays, spinning, flicking and kicking. 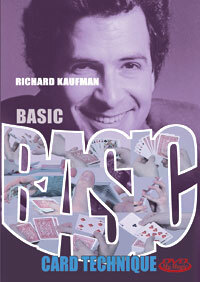 You will learn: Thumb Shooting, Boomerang Card, Canned, Selery Stalker, Swing Shot, Ring Finger Shot, Snap Shot, Flick Trick, Back Flicks, Fire Flicking, Sucker, Hackey Flick, Pop-Up Cards, Fly Out, Quick Flick, and much more. 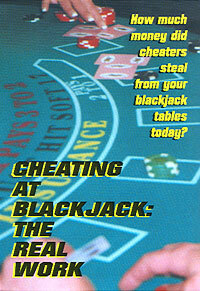 Includes funny outtakes. Produced by A-1 MagicalMedia. Running time: Approximately 40 minutes.